Let's take a look at some of the most famous and rare red diamonds in the world! 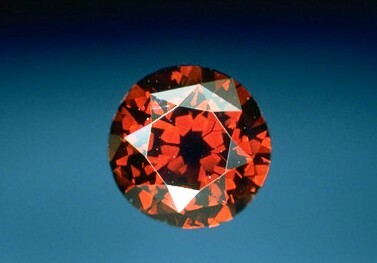 This beautiful round cut stone weighs 5.03 carats and is the third largest red diamond known to exist. Fun fact, DeYoung Red was discovered by Sydney DeYoung at a flea market, who mistakenly bough the stone assuming it was a red garnet. The jeweler eventually donated the diamond to the National Museum of Natural History in Washington, DC in December of 1987 . The stone exhibits a deep red hue with a tint of brown and no chemical impurities. The DeYoung Red Diamond is a modified round brilliant cut, with facets on the crown split horizontally. 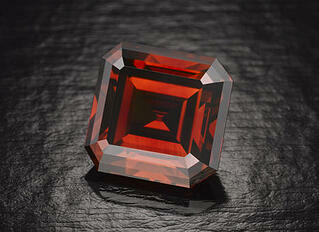 It is truly a one of a kind example of a beautiful red diamond. This diamond ranks second among our list of the most famous red diamonds in the world. The 5.05-carat diamond was discovered in Lichtenberg, South Africa in 1927 weighing 35 carats in its rough shape. After the diamond cutter’s preparation decreased its size by 85%, the jewelers turned the stone into a beautiful emerald-cut diamond. 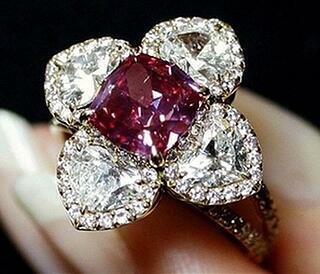 The Kazanjian Red Diamond was once seized by Nazi soldiers from a home in the Netherlands during World War 2. United States General Joseph McNarney, who believed the diamond to be some sort of ruby, later discovered the stone in a salt mine. After remaining in a private collection of an anonymous jeweler, the Kazanjian Bros. Inc. purchased the stone in 2007. Today, Michael Kazanjian believes the stone to be worth in excess of $50 million. The largest red diamond in the world is the Moussaieff Red Diamond. It weighs 5.11-carat, demonstrates a trilliant-cut, and is internally flawless. It was discovered in Brazil in the mid 1900’s by a farmer, originally weighing 13.9 carats. 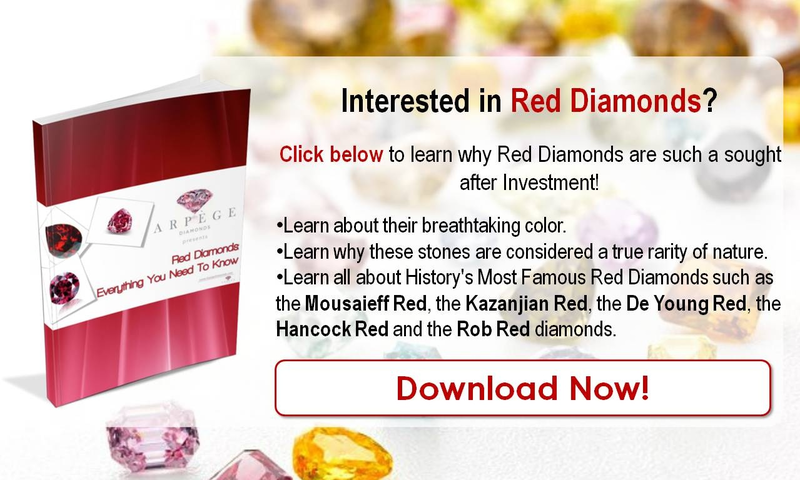 The fine ruby-red diamond was initially given the name ‘Red Shield,’ but after the Moussaieff jewelry firm acquired it, the name was changed to the Moussaieff Red Diamond. Today, the gem is set as the centerpiece of a platinum ring and is worth over $15 million. Due to their high value, it is common for colored diamond owners to protect the specifics of their stones. 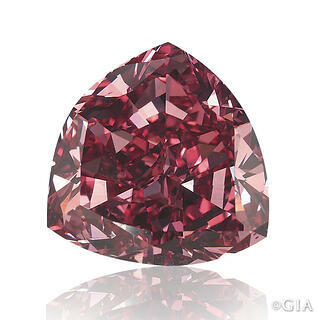 The Graff Purplish-Red Diamond is one such diamond where little to nothing is known about its early history. Through certain characteristics, scientists have been able to guess that its origin is either South Africa or Brazil; characteristics such as its 2.26-carat modified octagonal-cut. Today, the stone sits in an 18k pink gold ring that is surrounded by four heart shaped diamond petals and features the 2.26-carat red diamond as the centerpiece. On November 15, 2007, the Graff Purplish-Red was sold for $2.65 million at auction, making the price per carat $1.17 million. Fancy red diamonds have a unique history; for more in-depth coverage on these stones, make sure you check out our tribute to red diamonds.